Shot her at 23 yards with my Palmer Longbow 47#@26" 60" amo. 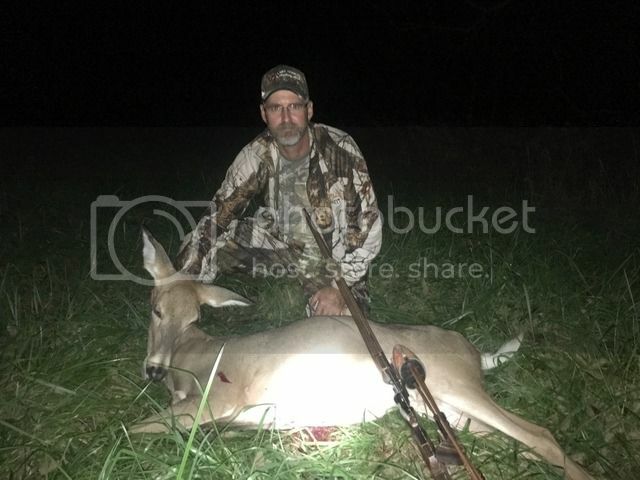 First deer with wood arrow tipped with the Magnus Classic Single Bevel 150gr head. You are a killer bud! Nice doe! Cool arrow too.